Shree Swaminarayan Gurukul is situated in India’s Diamond city, Surat. It is an educational and religious organization. 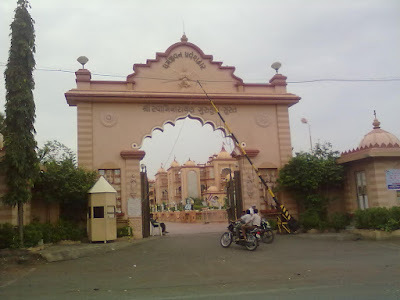 Shree Swaminarayan Gurukul’s headquarter is situated in Rajkot. Shree Swaminarayan Gurukul is the popular place in the Surat. Local and nearby city tourists frequently visit this place. It includes Swaminarayan temple, Fun Park, Nature Park, science exhibition, and religious programs. 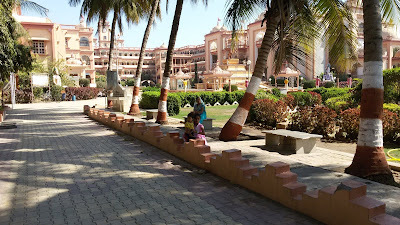 Shree Swaminarayan Gurukul building is like a palace which has school and temple both. We can divide this nice place into two parts broadly. One part is the school which provides the traditional and modern education to the students and another part is the big temple of Shree Swaminarayan which gives religious education to everyone. 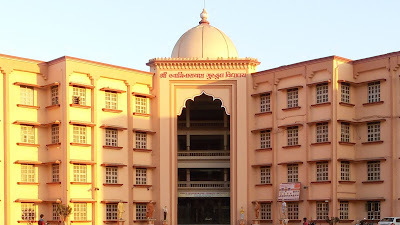 Shree Swaminarayan Gurukul is like a unique Diamond in Surat which spreading light of education and religion in the Surat city. For nourishing and spreading the principles of Lord Shree Swaminarayan, in the year 1948 H.H. Gurudev Shastriji Maharaj Shri Dharmajivandasji Swami established the Shri Swaminarayan Gurukul in Rajkot, Gujarat. Shree Swaminarayan Gurukul participates actively in many activities such as social, environmental, spiritual, moral & cultural, medical, and relief work. Shree Swaminarayan Gurukul organization has ten branches in all over India. It has international branches also in the United States and other countries. The main goal of this organization is to spread good and true education given by Shree Swaminarayan which they called as ''Sadvidya''. The other objectives of Shree Swaminarayan Gurukul are listed below. Teaching to everyone about secular harmony so they can respect each other. Developing good character in students by providing real education. Balancing between the spirituality and modernity education. Develop students as the best Patriots of the nation. Develop students to perform best in each field. Shree Swaminarayan Gurukul Vidyalaya is the English Medium School, affiliated with CBSE board. The other school is affiliated with the GSEB or state board of Gujarat. In this school, the study is provided in the Gujarati language. School offers various extraordinary courses in art, science, and commerce. The school has KG to12th classes in English and Gujarati medium. The school offers hostel facility for students in class 8th to 12th, who study here from other cities. Teaching faculty is very good, they provide quality education to students. The school environment is very good and very supporting staff is there who help students very carefully. Shree Swaminarayan Gurukul is founded in the year 1992 to provide quality education in Indian culture and manner. It is a good school with all the necessary facilities for kids. There is a big playground, a nature park, a garden, toilets, food court, drinking water, parking facility, library, computer lab, and many more things. 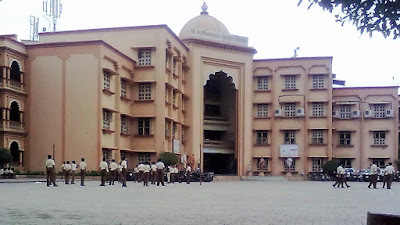 In Surat city, it is among the best schools with hostel facilities but for boys only. Shree Swaminarayan Gurukul campus having a very big temple of Shree Swaminarayan. Shree Swaminarayan temple has a very beautiful statue of Lord Shree Swaminarayan. There is also a small statue of Lord Swaminarayan sitting on the Palaki. 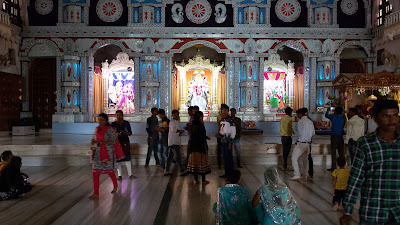 Devotees come to swing the Palaki of Lord Swaminarayan. Shree Swaminarayan temple is the temple of truth, kindness, silence, and compassion. 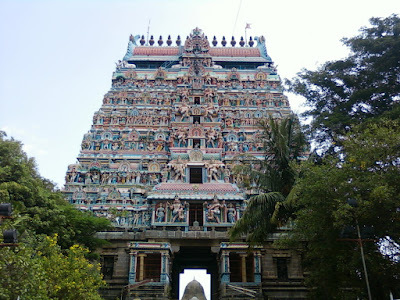 You can feel here the true spirituality and spend some quality time of your life in this temple. You can see lots of devotees sit in the temple hall and praying. For the visitors and tourist, there is a very interesting science exhibition where you can see lots of science working models and projects. There are 64 scientific projects displayed for the audience to explain the scientific principles of light, sound, heat, magnetism etc. You can learn many scientific concepts with easily understandable models. This exhibition is good for those peoples who not belong to science background. There is a mirror room, in which you can feel like you are in a crowded place. You can enjoy lots of fun here. Shree Swaminarayan Gurukul is also famous for its religious-cultural exhibition called ''Pradarshani''. It is the best place for religious peoples who want to see this type of exhibitions. There are lots of statues of various Hindu Gods mentioned in the holy books of Ramayan and Mahabharat. You can see some working statues of Gods and characters showing the stories of the Hindu religion. There are almost 4000 statues related to Hindu religion showing different scenes. The main interesting show of this exhibition is a mechanical statue telling a story related to Lord Vishnu. You can also see lots of statues telling the stories of Lord Swaminarayan life. The nature park of the Shree Swaminarayan Gurukul also very good and designed very interestingly for visitors and kids to enjoy lots of with fun. You can see rabbits, some birds and other small animals in cages. 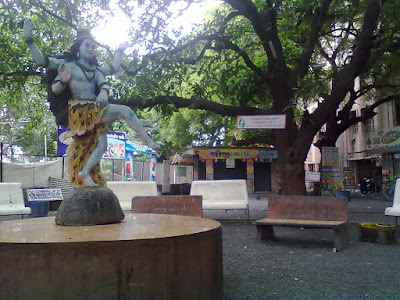 There are some small and large statues of animals and some Gods for making the park beautiful. There is also a fountain and some games for enjoying kids. 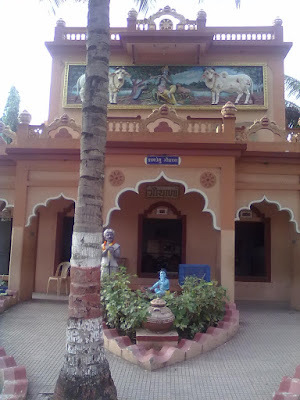 There is a small Gaushala in the Shree Swaminarayan Gurukul campus where you can see many cows. These cows are well cared for by the Shree Swaminarayan Gurukul management. Caring of the cow in the Hindu religion is the very important part. In the Hindu religion, Cow is considered as the form of mother. Gaushala is the main feature of the Hindu tradition’s Gurukul system. On many occasion such as on Sankrant, Gau-Poosan is organized in the Gurukul. For the visiting this place there is an entry ticket. The entry fees for kids up to year 10 is Rs. 30/- per kid and for adults Rs. 50/- per person. After taking the ticket you can see science modal exhibition and religious cultural exhibition. You can also enjoy in Nature Park at Shree Swaminarayan Gurukul. Entry in Shree Swaminarayan temple is free there is no charge. You can also enjoy the playground of the school where lots of playing equipment such as swings, slides, see-saws, playground climbers, spring, riders, merry-go-rounds and many more. Shree Swaminarayan Gurukul opens for visitors after the school timing. When the school close, the campus opens for the local visitors and tourist at 03:00 pm. Visitors and tourist can enjoy here from 03:00 pm to 08:00 pm. 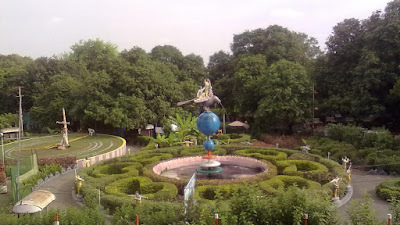 You can see this place in almost 2-3 hours very easily and enjoy each place in the Shree Swaminarayan Gurukul campus. Entry in school is not allowed for visitors. For visitors, there is a free slipper or shoes keeping service where you can keep your slippers or shoes. Available Restaurant and food shops for kids and visitors also. Nature Park with some animals like rabbits. Garden for kids and local public. Photography and camera are not allowed inside the Science and Religious Cultural Exhibition. Photography and camera are allowed outside the Science and Religious Cultural Exhibition. Shoes and slippers not allowed inside the Science and Religious Cultural Exhibition. Don't carry or take edible items inside the Science and Religious Cultural Exhibition. Keep kids with you. They can go here and there. Surat is a very famous city of Gujarat. You can reach at Shree Swaminarayan Gurukul very easily it is very famous in Surat. The railway station and bus stand in Surat is nearby to each other. You can get a city bus and tempo and Vikram for Shree Swaminarayan Gurukul. You can also book a cab or taxi for better convenience. I was visited this place by booking a taxi. Till date, I visited this place two times and enjoy each time a lot.